Is your top desk drawer full of loose change, rubber bands, paper clips, pens, and other random supplies? Create this super easy DIY desk organizer and make sure everything stays in its place! 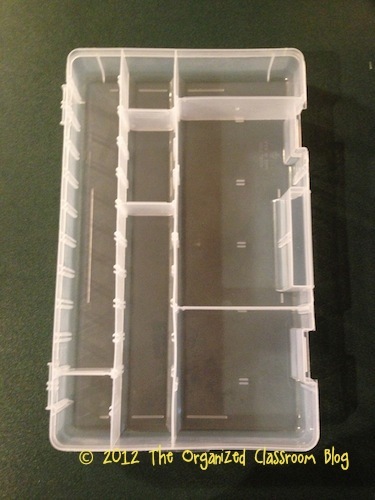 Step 1: Start by taking the lid of the top of your box and removing the tabs included. 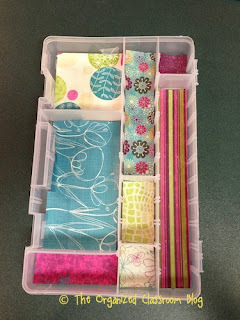 Step 2: Design your custom compartments by choosing where to place the dividers, thinking about what you already have sitting in your desk drawer. I have a variety of areas for different sized items. Feel free to create more or less depending on your needs. Step 4: Place your papers into the correct spots, using glue or tape to secure in place. 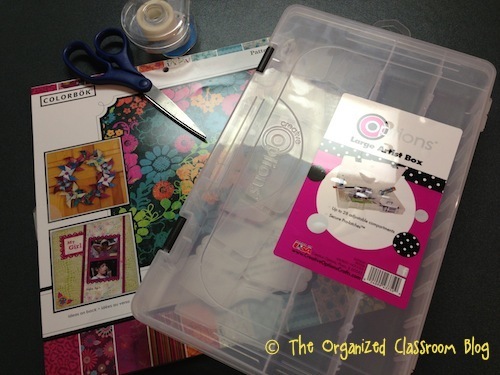 Step 5: Place your loose desk items into your new organizer, place back into the drawer, and be able to find everything again! You can customize the slots and the paper you use to match your own personal stye, or the style of someone else (maybe a great holiday gift?). 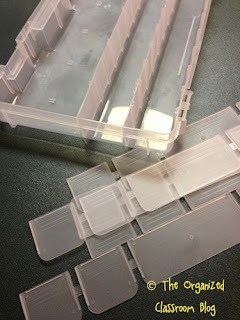 Need a way to make sure the organizer does not slide all over the drawer it is placed in? 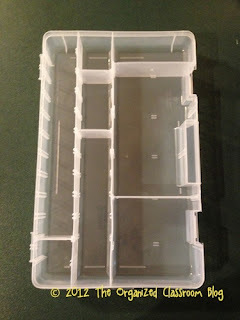 Pop some round velcro dots on the four corners of the bottom of the tray, and attached the matching piece to the drawer. Stays in place no matter how times you open and shut your drawers!